FARMINGTON - On Saturday, April 27, Mt. 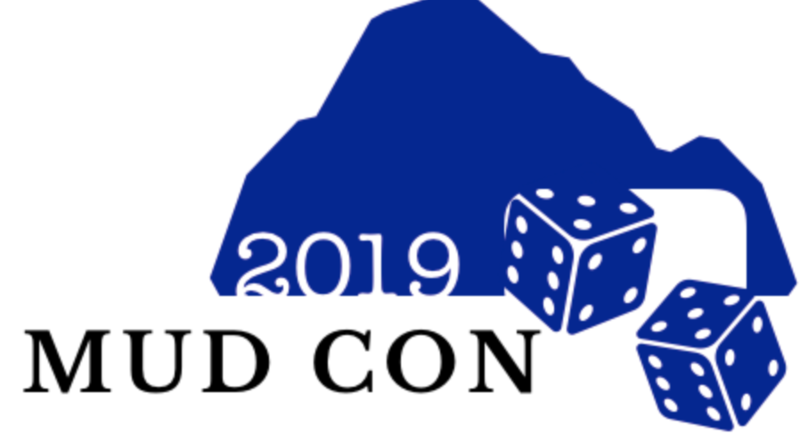 Blue High School will witness hundreds of dice rolls, deck dealings, and button mashings as it hosts the first ever Mud Con gaming convention. Players of all ages are invited to participate in a full day of board games, card games, role playing games and video game tournaments to support the Success & Innovation Center at Mt. Blue Campus. Around the campus, spaces will be devoted to collectible card games such as Pokemon and Magic: The Gathering, hobby games such as Warhammer 40K and Bolt Action, board games such as Settlers of Catan and Pandemic, and card games such as Sushi Go! and DC Superheroes Deck Builder. There will also be places for role playing groups to gather for adventuring and character building in Dungeons & Dragons. Players are encouraged to bring games to share and show others, and there will be many games to try out. There will be a special area for our PLAY AND WIN program, where players can learn and try out a new game and have their names entered in a drawing to win those games. Games in the PLAY AND WIN so far include Stonemaier Games’ My Little Scythe and Between Two Castles, as well as Maine’s own Quest for the Antidote from Topsham Games. Throughout the day, gamers will be able to play in one of three strands: open, casual and competitive. Open strand gamers will be able to learn how to play a number of games, ask questions, get advice, and share some their favorites with others. In the causal strand, gamers can expect to play games with similarly experienced players, while the competitive strand will provide challenges and opponents for veteran players. For the most competitive players, there will be four tournaments during the day, starting with Magic: The Gathering at 9 a.m. Pokemon will begin at 11 a.m., followed by a Mario Kart (wii) tournament at 1 p.m. and Super Smash Bros. Brawl (Nintendo wii) at 2 p.m. Entry into these tournaments costs $5 per player, per tournament, with cash prizes for first, second and third places. First place will receive 25 percent of the tournament fees, second place 15 percent and third 10 percent. The more who participate, the greater the prize, so players are encouraged to bring a friend. Pre-registration and more information can be found on the MUD CON 2019 Facebook event. General admission for MUD CON 2019 is $5 while kids 10 and under are free. Tournament fees are $5 per player per tournament. Refreshments will be for sale throughout the day. All proceeds from MUD CON 2019 go to support programming and materials for the Success & Innovation Center at Mt Blue Campus. Questions & inquiries should be directed to SIC Education Director, Dan Ryder at dryder@mtbluersd.org. How about games that get our children outside exercising, isn't obesity a problem in our country? Pay a fee and possibly win some money sounds like gambling? Thanks for chiming in What??????? and I can understand your concerns. We'd gladly wave your admission fee on the 27th so you can see the benefits of adults and kids coming together in the spirit of friendly competition. Board games and card games are excellent cognitive exercise and teach strategy, problem solving, collaboration, and decision making. And rest assured, no one will be betting on a game of Pokemon or a round of Mario Kart. That would be highly inappropriate. Since the event runs from 9 am to 4 PM, folks can come later in the day after playing sports all morning, leave at noon, or even enjoy the great outdoors into the evening. Thank you for putting this together Dan. It’s nice to give kids another outlet as we move into Spring and raise funds to help support the center that supports the kids. Thank you Dan.